A bunion is when the big toe (hallux) is abnormally deviated towards the other toes. This results in a bump (enlargement of bone or tissue) around the joint of the big toe (metatarsophalangeal joint). Over time the bump becomes larger and can become painful. • Bunions are most often caused by an inherited faulty mechanical structure of the foot - in particular excess pronation (rolling inwards of the foot). 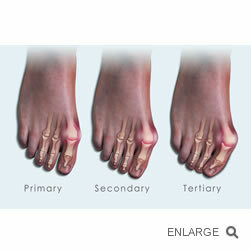 It is not the bunion itself that is inherited, but certain foot types that make a person prone to developing a bunion. • Wearing footwear that is too tight whereby the toes are squeezed together may be a contributing factor. • Tight fitting shoes can exacerbate and aggravate bunions. This may explain why bunions are three times more likely to occur in women than men. Stage 1 - The bunion presents as a slight bump. Stage 2 -The big toe pushes on the 2nd toe. This can cause pain. Stage 3 - The big toe overlaps the 2nd toe. This can limit the patient's mobility and cause pain. Arthritis and stiffness can also develop. Beyond Podiatry provides the latest advancements in surgical and non surgical solutions for bunions. We incorporate experience, knowledge and the latest technology and equipment. This ensures the patient receives the latest in podiatric advances. We use many evidence based conservative (non surgical) treatments to manage bunions in our clinic. We thoroughly explore all conservative treatment options before we recommend surgery. The majority of our patients are given conservative treatment plans and only a small amount are referred for a surgical opinion. When surgery is indicated, only the latest, conservative, precise and refined techniques are used for bunion surgery. The Bunion Clinic in Newcastle is owned and operated by Danielle Robertson, a podiatrist with 20 years experience in practice. The clinic offers a range of conservative and advanced surgical techniques for patients with bunions. We use many evidence based conservative (non surgical) treatments to manage bunions in our clinic. We thoroughly explore all conservative treatment options before we recommend surgery. The majority of our patients are given conservative treatment plans, and only a small percentage group are referred for a surgical opinion. When surgery is indicated, only the latest, conservative, precise and refined techniques are used for bunion surgery. There are three convenient Newcastle locations at Waratah, Edgeworth and Warners Bay, each with level access and easy parking. The Bunion Clinic is affiliated with Beyond Podiatry and The Heel and Arch Pain Clinic which are also located at the above locations. Our podiatrists have extensive knowledge and expertise in treating bunions and are registered with the Podiatry Board of Australia. At The Bunion Clinic we strive to give the best patient care possible and we are approachable regarding any bunion problem or foot pain you may have. 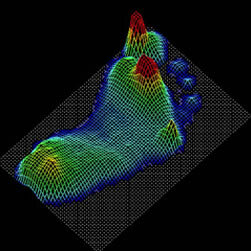 At The Bunion Clinic we employ the latest in foot pressure and gait analysis technology, enabling us to obtain a precise image of the foot from which a computer generated cast then orthotic is made for each individual. The orthotics prescribed and designed by the Podiatrists at Beyond Podiatry are made to align the foot in its correct foot posture. 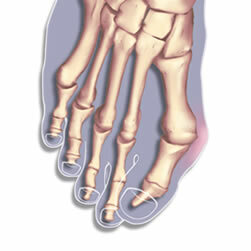 This will reduce excessive force on the big toe joint and as a result decrease the progression of the bunion.. Foot and big toe exercises. Footwear advice. We work with many shoe shops that specialise in shoes for painful feet and orthotics. 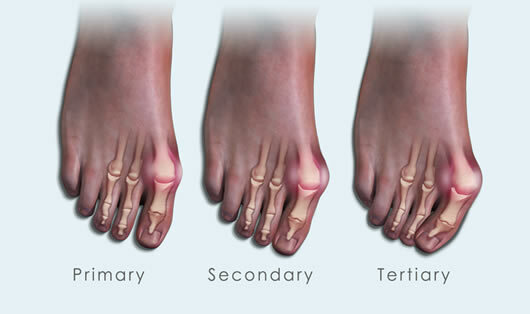 It is important to monitor your progress whilst you are in a treatment program for your bunion. We quantitatively measure your progress with x-rays and measurements. This ensures the treatment is improving the alignment of the big toe or preventing further degeneration of the big toe joint. We are at 317 Lake Road, Glendale. The Bunion Clinic incorporates experience, knowledge and the latest technology and equipment. This ensures the patient receives the latest in podiatric advances. We employ the latest in foot scans, foot pressure and gait analysis technology enabling us to obtain a precise image and measurements of the foot from which a cast then orthotic is made for each individual.